This is just an image of mold, not mold specific to Eastham. Looking at the curling, peeling layers of paint in my neglected cell here on Eastham Unit brings to mind what it’s like taking a look inside an old car that’s been in the junkyard — upholstery tattered and hanging down…Another similarity to the peeling paint and an old weather-damaged relic is not only an eye sore but cause for alarm: the presence of black mold! The mold, I know, is very dangerous and anyone exposed to it for any length of time is at risk. Problems ranging from respiratory infections to complications with liver or kidneys. My experience as a contractor, and working in the home development field, has spurred Comrade Malik to request that I write the bulk of this article pertaining to black mold. The 1st thing you should know is that anytime black mold is found present in an establishment, all people are relocated while the black mold is eliminated! Workers using paper face masks will go to such measures: if residential, all sheet rock and insulation are torn out and replaced along with any carpeting even suspected to have had moisture damage. Air ventilation ducts are sanitized or replaced. Industrial strength oil based kiltz primer paint is used throughout the home or establishment. That is before the new material and fresh finish paint. If industrial, with concrete walls (e.g. schools, rec centers), the paint is removed by using bens-o-matic torches and tools to scrape the burning paint. A stone soap and scrub brush are used on the porous concrete and then the above-mentioned precautions are followed. Should these measures not be followed and black mold is again found in future inspections, the place is condemned! Why not here? Because we are convicted criminals? We are human! We are people too! Revolutionary greetings, sisters, and brothers! As you can see, Comrade Kado has expertise in this area and it didn’t take 6,000 words for him to hit on all the key points. Black mold is a pervasive and systemic problem in Texas prisons. It’s one of the results of living in a state where the climate seems to be radically changing to what seems to be a tropical climate, in an area where we have the most prisons. Anyone reading this essay or hearing this report on the radio or internet would scream out in protest if they were forced to live in such conditions. Sisters and brothers, the American Correctional Association is one of the main organizations which come into Eastham and other prisons to conduct so-called inspections, but with a wink and a nod these so-called “auditors” ignore our cells where this cracked and peeling paint and black mold spores have been allowed to grow unabated! 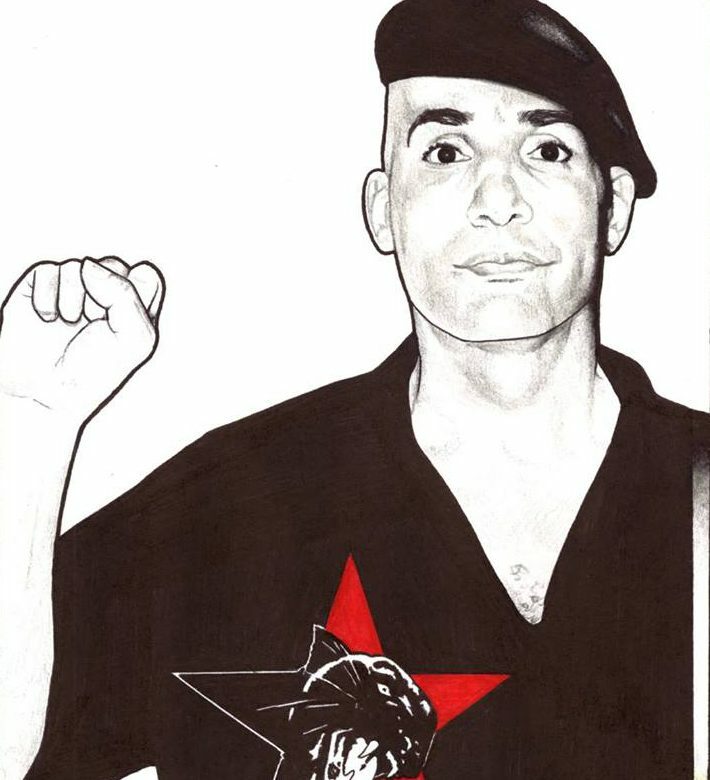 Brothers and sisters of the struggle, this is Comrade Kado, and my comments, my essay, are cut-and-dried: this stuff is dangerous to our health and only because of the fact we are in prison does it go on unchallenged. That is not justice, but injustice. I ask you to ponder some facts surrounding TDCJ’s history of throwing money at attorneys to avoid accountability for problems like the ones outlined in this essay–more money than would take just to fix the problems: installing air conditioning, providing safe and sanitary conditions and medical care, for example). Make no mistake, it’s not about money, but control. Relent, and TDCJ loses some control and that is not a feasible concept for Texas’ injustice system. Harsh conditions are used as a means to subdue those under control and reduce morale–leavings subjects resigned, deflated…that is why these people fought so hard against the beard. That is why it was such a victory us…In love and rage. Fight the power!! ← I AM NOT A SLAVE! I AM A FELLOW WORKER!